The original Atlantis, of Greek literature, was a land that sank below the sea. The name has since been used in other similar stories. But is Britain’s Atlantis imaginary or real? 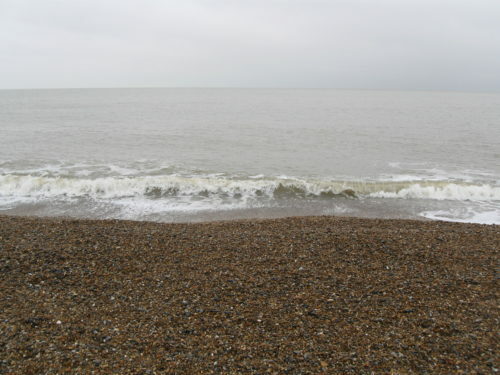 The vast area of Maplin Sands, off the Essex coast is today only a few metres below the high tide mark. What was the land like here a few thousand years ago when the sea level was lower? In the late 18th century a new fishing method was used in the North Sea. Weighted nets were dragged across the sea bed to catch bottom-dwelling fish. But they didn’t just catch fish. Remains of land animals and humans and their tools were netted too. Further investigation was relatively limited until oil was discovered in the North Sea in 1969. The oil companies carried out detailed surveys of the sea bed, from which maps could be produced. The sand bank of Dogger Bank, where, at its shallowest, the sea today is only 18 metres deep, was a higher area within a vast low-lying plain. The whole area has been named Doggerland. This link, to a map on National Geographic, shows Doggerland and how it reduced in size as the sea level rose. Scientists are hoping that samples of sediment, taken from the sea bed, will contain remains of plants and animals that inhabited Doggerland. 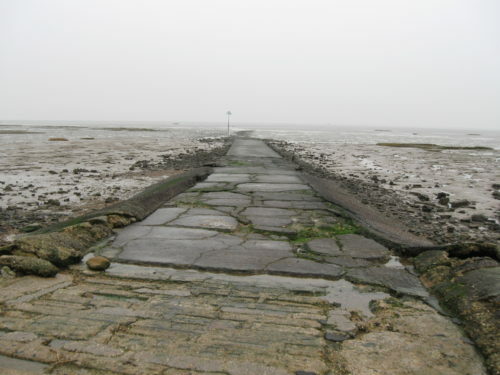 The types that they find will give further clues as to what Britain’s Atlantis used to be like.